The School and Office Products Network serves those who produce, distribute and sell (retail & commercial) furniture, supplies, equipment, and services in the markets they choose to serve. The Network offers a variety of membership benefits including proprietary and industry research, educational opportunities, membership discounts and industry-specific news. Our goal is to provide members with opportunities to partner together, utilize expanded resources and reduce costs within their business. 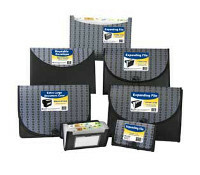 The School and Office Products Network serves manufacturers, buyers and service companies involved in home office and business office as well as classroom supplies. Our members include companies involved in the production, distribution, retailing and reselling of school supplies, office supplies, stationery items, greeting cards and other related items in mass retail and commercial channels. Membership also includes media organizations, suppliers, consultants, licensors and others serving the office and school product industry.